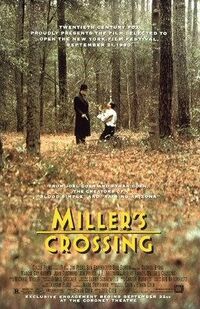 Miller’s Crossing is the Coen-Brothers first successful attempt at reaching a wider audience. They illustrate an untypical mafia story that sways away from the typical films from the genre like The Godfather or Goodfellas. Taking place during Prohibition this film this film is an incredible piece of work accompanied by it’s superb acting performances.